I'm back from a much needed vacation at the beach! Below is one of my favorite pieces that I ordered from Boohoo. 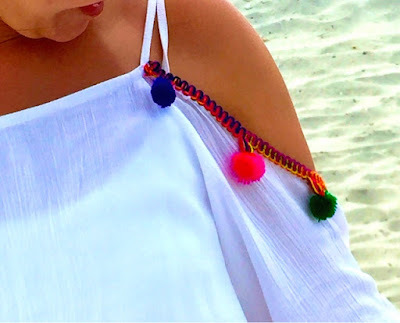 It's an off the shoulder romper with pom poms! What's not to love! 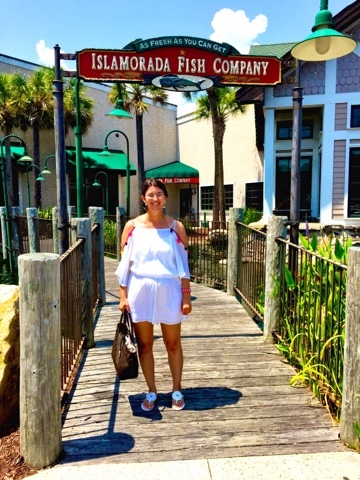 I wore this to lunch at the Islamorada Fish Company. This was my first time eating there. It is really delicious and highly recommended!